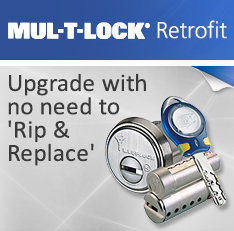 Products Archive - Able Locksmith & Door Service, Inc.
Mul-T-Lock's extremely wide range of key in knob cylinder options allow you to easily upgrade the security of existing knobs and levers by simply switching out the cylinder – no hardware modifications or reinstallations required. 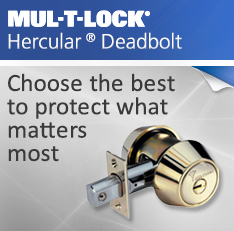 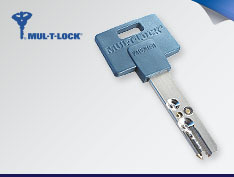 Mul-T-Lock’s popular C-Series heavy duty, patented High Security padlocks offer a robust design, superior locking and plenty of options. 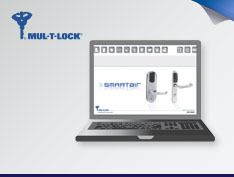 Also equipped with a protective shutter to prevent dust contamination and drainage holes to prevent freezing, the C-series Line is available in many models with varying body sizes and shackle diameters and clearances. 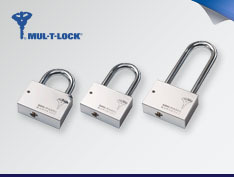 This versatile line is sure to meet your padlock needs. 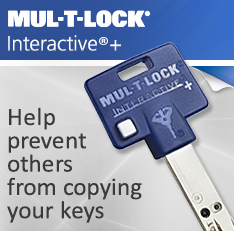 The Interactive® system was the basis for the more current Interactive®+ platform. 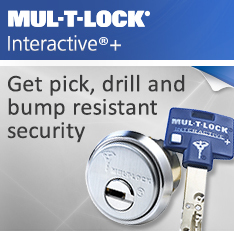 Patented only until 2014, we encourage customers with existing Interactive systems to upgrade to Interactive®+ to ensure continued patent protection. 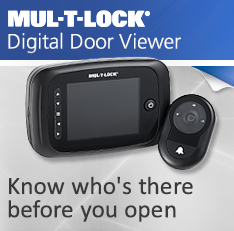 Knowing who is at your door before you open up is a simple yet very effective way to stay safe and secure. 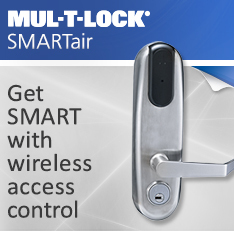 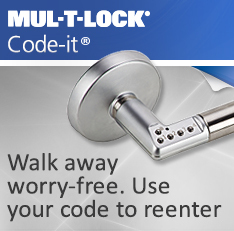 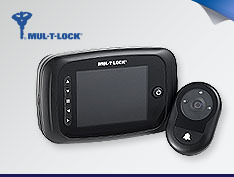 Solutions like Mul-T-Lock's GotU Digital Door Viewer which let's you view and record who's at your door give you better control and protection. 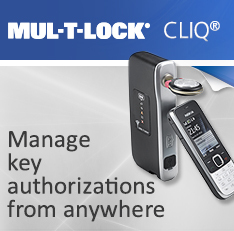 Keys, tags, cards – with today’s complex High Security systems, you may need an entire collection of opening devices just to walk through one building. 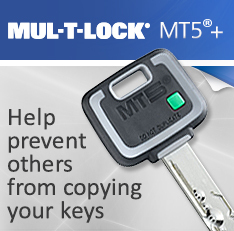 Instead of a whole collection keys, now you can use just one SynerKey! 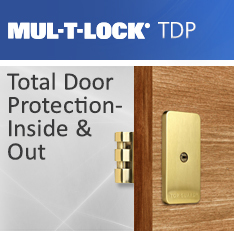 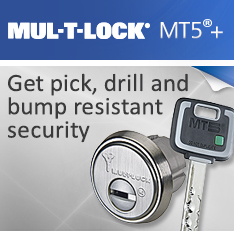 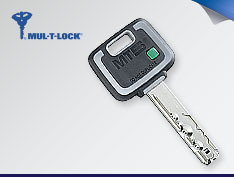 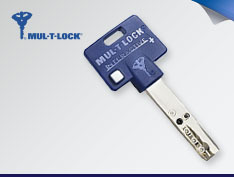 Mul-T-Lock MT5®+ Patented Keys combined with the MT5+®High Security cylinder platform provide you with patented protection by enabling excellent key control. 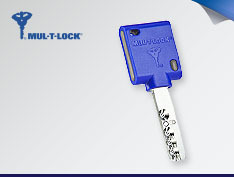 Key duplication requires presentation of a specialized magnetic strip key order card to an authorized dealer with a uniquely serialized key cutting machine. 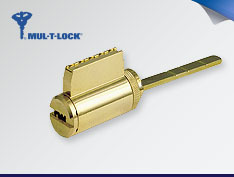 The Interactive®+ system combines an enhanced variation of the long-famous Interactive® telescopic pin tumbler mechanism with a spring-loaded, unique pin in the cylinder plug to produce a ‘virtual combination’ that may only be achieved when the Interactive®+ Patented Keys is inserted in the lock. 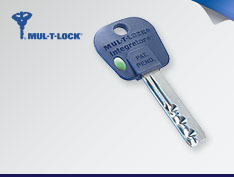 Mul-T-Lock Integrator® Patented key, standard security platform is a budget friendly solution which provides enhanced key control by utilizing patented keys and requiring presentation of a key order card for key duplication but does not offer physical high security.